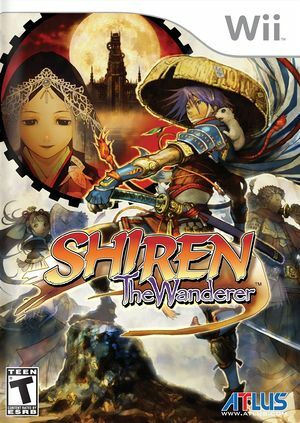 Shiren the Wanderer (不思議のダンジョン 風来のシレン3 からくり屋敷の眠り姫 Fushigi no Dungeon - Furai no Shiren 3: Karakuri Yashiki no Nemuri Hime?, Mystery Dungeon - Shiren the Wanderer 3: The Sleeping Princess in the Clockwork Palace) is a roguelike developed by Chunsoft and published by Sega for Wii. It was released on June 5, 2008 in Japan and on February 9, 2010 in North America. Using 4.0-8059 the automap does not always render updates as you move about the level. Bringing up the inventory screen and then closing it forces the map to redraw and render correctly. Corrected in 5.0-6374. The graph below charts the compatibility with Shiren the Wanderer since Dolphin's 2.0 release, listing revisions only where a compatibility change occurred. This page was last edited on 22 March 2018, at 11:12.